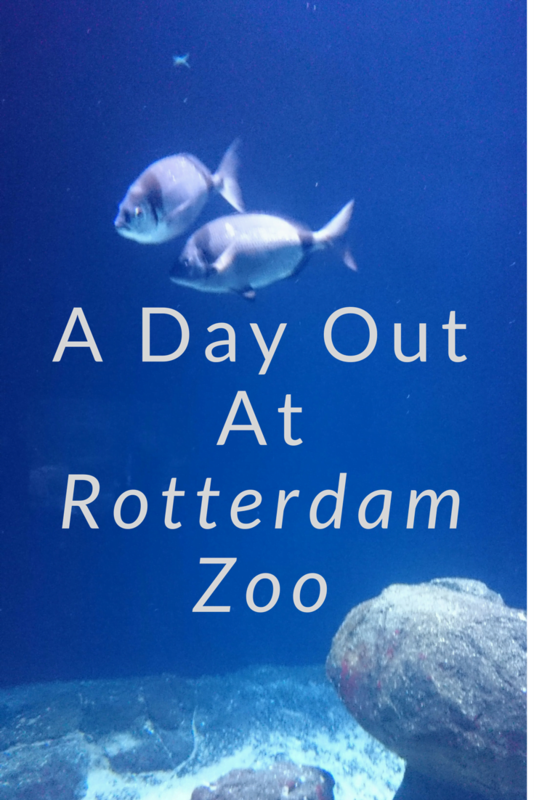 I was really looking forward to our day out at Rotterdam Zoo in The Netherlands. 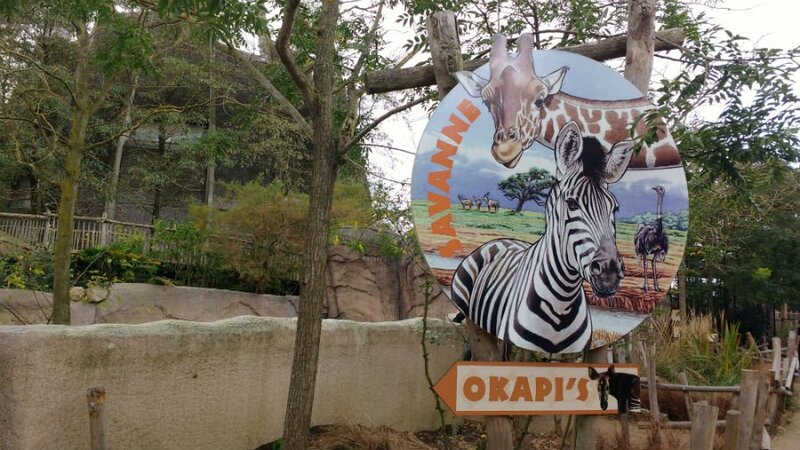 One of my friends had recommended it to me, telling me that it was one of the best zoos she had ever visited. After this glowing endorsement, I didn’t need much more encouragement to take my 2 young animal loving boys to Rotterdam Zoo when we were on holiday at Duinrell in The Netherlands. 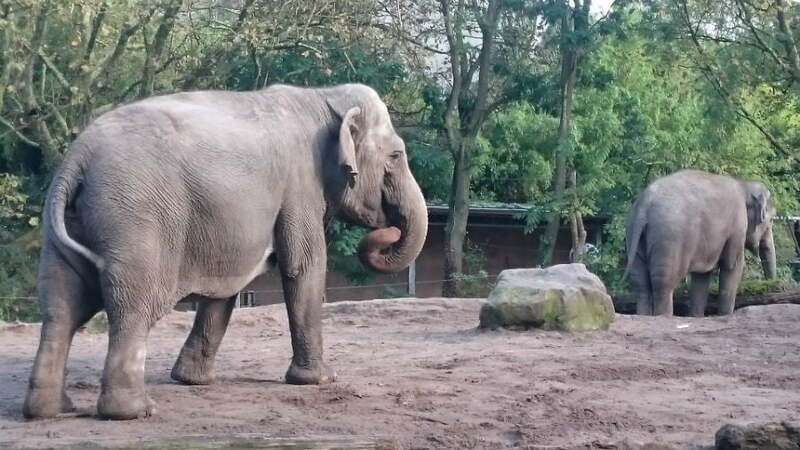 Rotterdam Zoo is one of the oldest zoos in Europe, celebrating its 160th birthday in 2017. It is regularly named one of Europe’s most beautiful zoos, and is home to an unbelievable number of animals including elephants, tigers, lions, gorillas, giraffes and rare okapis. 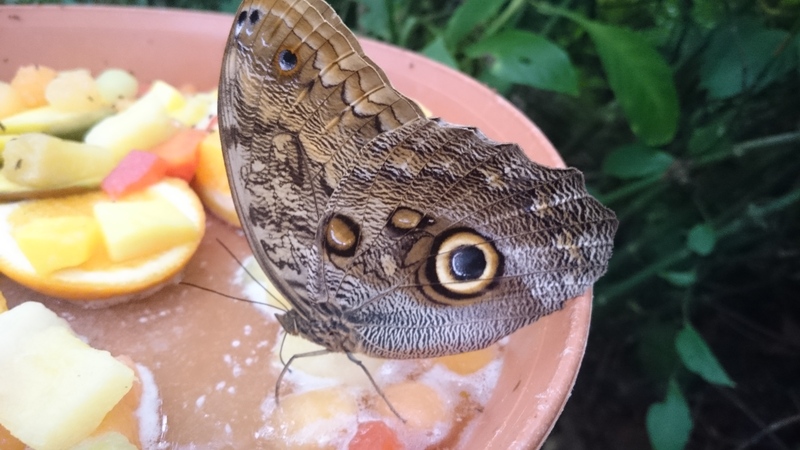 There is also a large Oceanium and a Butterfly House. The first thing to say about Rotterdam Zoo is that it is huge. 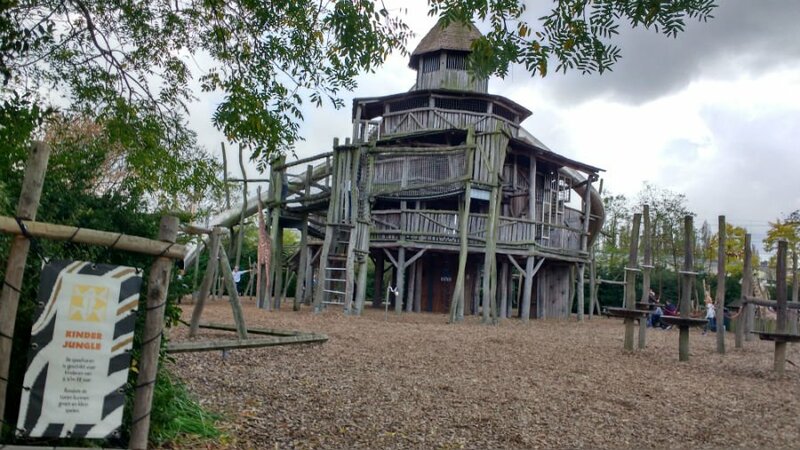 You will need a full day there to see all the animals, including time for the children to play at the fantastic playgrounds along the way, and stop off for refuelling breaks. 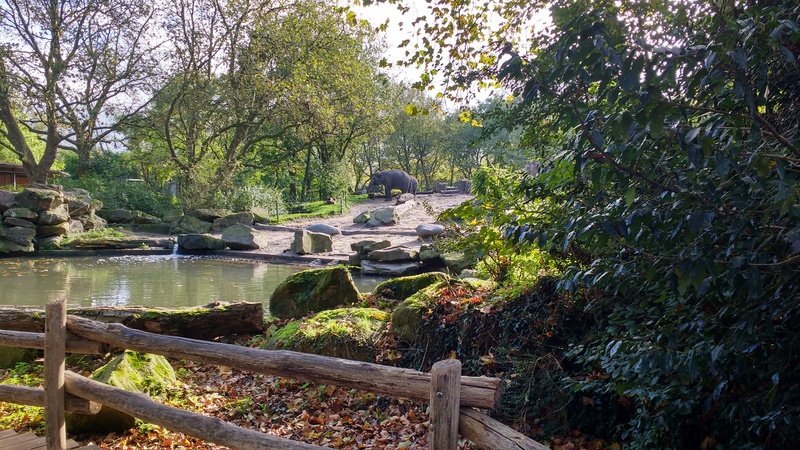 The Rotterdam Zoo map takes you on a journey of discovery through different countries in the world, where you can meet the animals which live there. The highlight of the North America area has to be the magnificent polar bear twins which live in an ‘Ice Cave’ – an exciting area with a large pool for them to swim in. It was amazing to watch these enormous animals playing in the water with their toys – I didn’t realise what good swimmers they were before I visited. The swimming pool is also perfectly positioned at ground level so small children can see all the action taking place in the water. 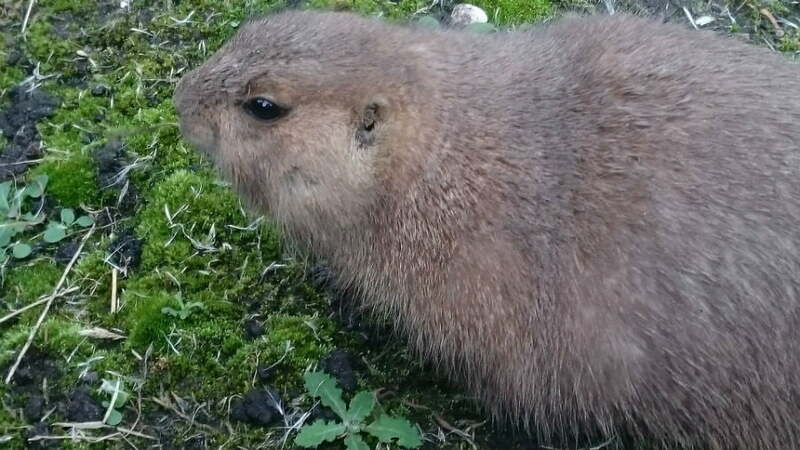 Other inhabitants of the North America section include bisson and prairie wolves. Children will love Amazonica section in the South American area. 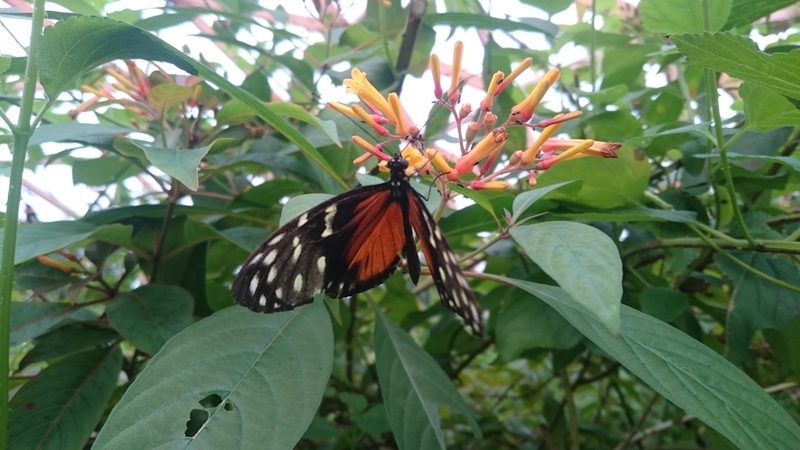 This is Europe’s largest butterfly paradise with tropical temperatures and hundreds of beautiful South American butterflies flying around landing on the native plants and flowers. There are plenty of opportunities to get really close to them too. 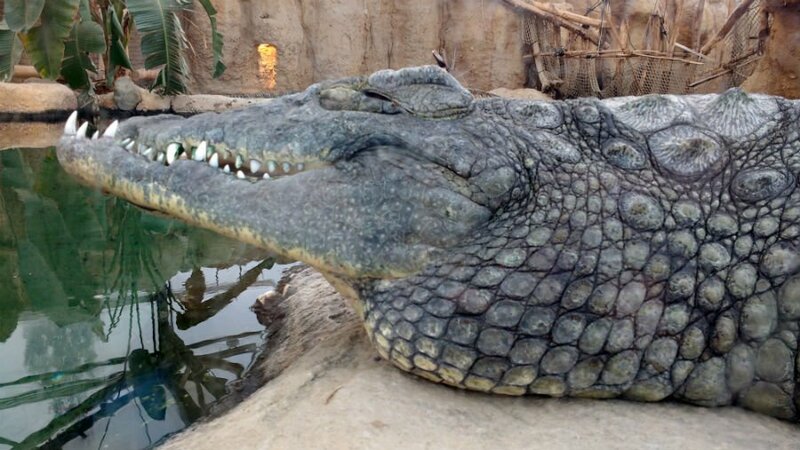 Other residents of the South American section is an Anaconda and piranhas. Continuing onto Asia, where you can spend ages seeing animals such as rhinos, tigers – and best of all a family of elephants! Again, the viewing areas are really well laid out so you can see the animals from various places around their enclosure. 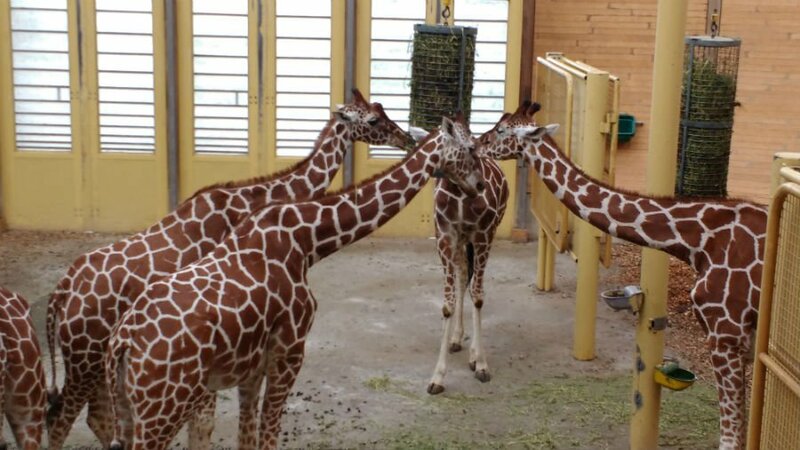 We loved seeing the giraffes in the Africa area (including a baby!). They were having some food when we were there so we got really good views of them. Other residents of the Africa area were the gorillas on Gorilla Island. There were cute little portholes which younger children could look through to see the gorillas. We also got very close to some of the crocodiles which live in Crocodile River. The Oceanium was one of the best bits of the day, and took us over an hour to go around. In this massive area you get to see terrapins, sharks, sting rays and penguins just to name a few. There is a Great Barrier Reef section and a covered walk way where sharks swim over your head – an unforgettable experience. There are 2 large play areas at Rotterdam Zoo. The indoor play area is called Biotopia and includes a sand play area and a 14m humpback whale for children to play in. There is also a café and tables and chairs for parents to relax in. 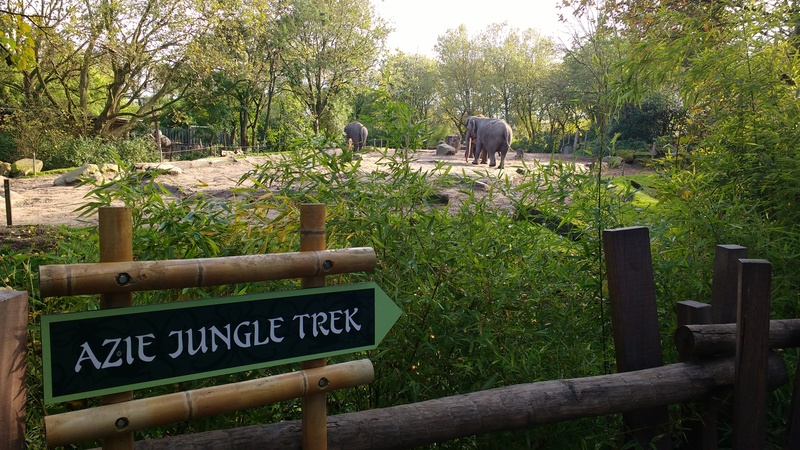 There is also a large outdoor play area at Rotterdam Zoo. 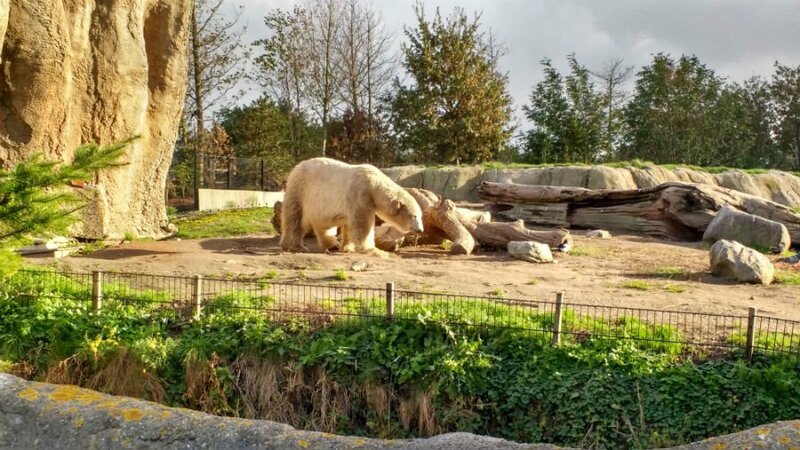 Summary: Is Rotterdam Zoo Family Friendly? I’d highly recommend a day out at Rotterdam Zoo if you are on holiday in The Netherlands. Arrive at opening time, and plan to spend a full day there seeing all the animals and playing in the playgrounds. Wear comfortable shoes and bring lots of drinks and refreshments. You will have a great time! There are indoor areas, but you will get the most out of your day if you visit when it is dry. Tickets are 2 Euros cheaper if you buy them in advance via the website. Adults cost 21 Euros each, and children (3-12) cost 16.50. Under 3’s are free. The Zoo is massive. Bring your buggy to carry any little ones who might get tired legs. There is a Zoo Train which can take you from 1 entrance to the other (small cost applies). Parking costs 8.50 a day. Check the website for public transport directions. Plan to spend the whole day there. There are plenty of cafes and restaurants or you can bring your sandwiches. 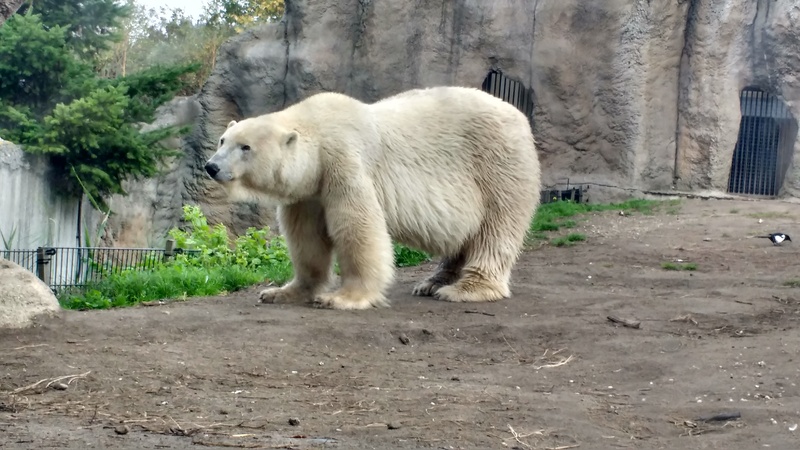 I am glad that you and your Sons enjoyed Rotterdam zoo. 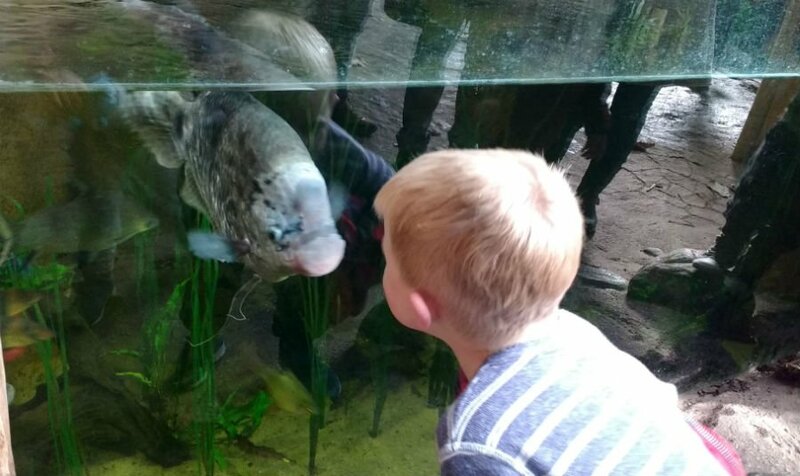 I think that it is important for children to see in good zoos.